You probably missed this because you were watching migrating birds or something, but National Grasslands Week was June 18th-24th. I went to the Purgatory River dinosaur trackway that week in 2015, and while it was a good experience, I would much rather have gone in December. I have hunted in shirtsleeves on New Year's Day in southeastern Colorado. January is also good, absent any blizzards. Or February. I used to take the nature-writing students out to Vogel Canyon (in the upper-left light-blue area on the map below) in early February. It's a good entry point for the grasslands experience — all that aridity and melancholy and mysterious rock art. It must have been someone sitting in an air-conditioned office who put National Grasslands Week in June. The bureaucratic mind at play. Zee artiste Christo, currently thwarted by legal challenges from commencing his huge project of draping plastic sheets across the Arkansas River, had apparently chosen to work on a smaller scale, "wrapping" (one of his signature techniques) antique narrow-guage rail cars at the Cimarron Canyon Rail Exhibit on US 50 in western Colorado. Someone once explained the 1967 Six-Day War, when Israel fought off Syria, Jordan, and Egypt and ended up controlling the Golan Heights, in terms of water. By capturing the Golan Heights, the article asserted, the Israelis controlled the recharge area where precipitation filtered down to the wells watering their farms. Western kid that I was, I thought, "Oh, I get it, it's all about water. No wonder the tanks are rolling." Some students and I once kicked around alternative bioregional histories for southern Colorado. I suggested that if Kansas and Colorado were separate countries fighting over the Arkansas River's flow, we probably would have had a hard time stopping their troops. 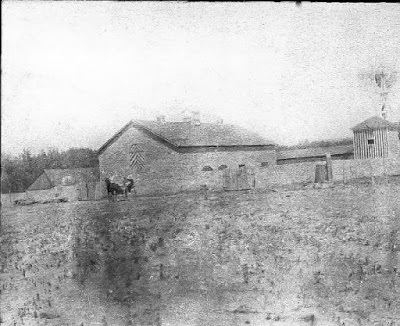 The citizens of Pueblo would have been digging trenches, like those of Warsaw in 1920. The border would probably be at Fowler now. Fortunately, we have a judicial system which settled things, meaning that Coloradans do not have to say "Ar-KAN-sas" like those barbarians to the east. But I digress. We all have heard about the California drought and the over-pumping of groundwater there. We should know that the same thing is happening on the High Plains (another argument for industrial hemp over thirsty corn). Cities such as Santa Fe and Albuquerque, not to mention some Denver suburbs, depend on ground water—how long will that last? What I did not know is that the Saudi Arabs have been playing the same game, and in about thirty or forty years they have drained an aquifer in the name of growing wheat. Saudi Arabia a wheat-exporting country? Who knew? Not me. But they are hitting the wall called No More Groundwater. Just one more thing to stir up the Middle East. Over there, the tanks do roll. 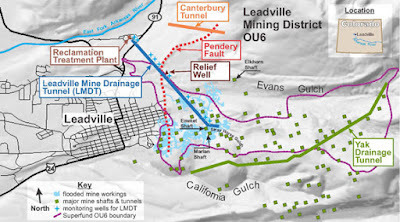 Leadville Mining District (Bureau of Reclamation). This is the website for the "10,000 Year Clock" proposal, also known as the Long Now. There is a Clock ringing deep inside a mountain. It is a huge Clock, hundreds of feet tall, designed to tick for 10,000 years. Every once in a while the bells of this buried Clock play a melody. Each time the chimes ring, it’s a melody the Clock has never played before. The Clock’s chimes have been programmed to not repeat themselves for 10,000 years. Very nice, but we already have a "10,000-year clock." Several of them, in fact. They do not tell time, but they must run forever. As in forever, as long as people live downstream from Colorado mine pollution. Or until there is some major geological change, a technological breakthrough, or society devolves into some kind of Max Max, The Dog Stars, or World Made by Hand kind of future. In that case, cadmium and other heavy metals in your drinking water and a lack of trout in the river might be lower down your list of problems. Who can say? Maybe you heard about how work by the Environmental Protection Agency to remedy mine-drainage pollution in a tributary of the Animas River in SW Colorado went horrible wrong. A toxic slug is flowing downstream into New Mexico and eventually to the Grand Canyon and the Colorado River. Some people just want to use this incident to beat up on the EPA. Others worry about the effects on people dependent on the river and on its aquatic life. My point is, this is not unique. Colorado, "mother of rivers," (South Platte, North Platte, Rio Grande, Arkasas, Colorado) is also a state built on mining. 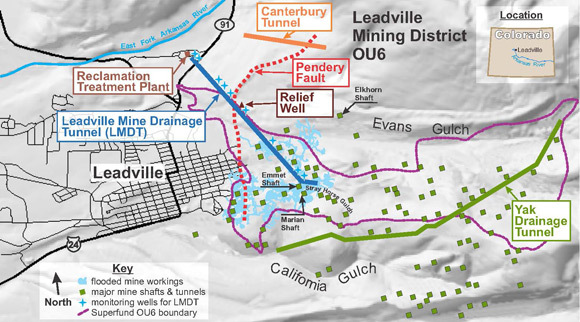 Take the headwaters of the Arkansas River — the mining area around Leadville. It boomed on silver, but in the 1940s, the call was for zinc — zinc to make brass — brass for all the cartridge cases and artillery shells of World War Two. But the mines filled with water as they went deeper, water percolating from rain and snow melt. So miners drilled a long, long tunnel to drain them, routing it into the river. Leadville Mine Drain — the "floor" is water. The metals that the tunnel picked up killed the river. So in 1991, the Bureau of Reclamation opened a treatment plant to neutralize the drainage. It's simple chemistry really. 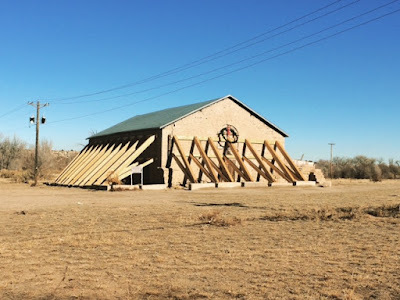 When I co-taught an environmenal writing class at Colorado State University-Pueblo, my colleague and I used to take students up there on a field trip. We would rent some vans — it is about 160 miles one way, and many students had never been that far up the river that feeds their city. 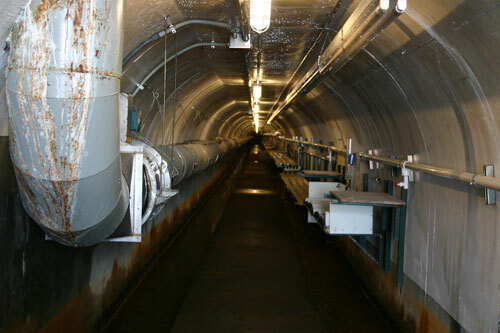 We would tour the treatment plant and also drive past the similar Yak Drainage Tunnel. As some who read the old Whole Earth Review and CoEvolution Quarterly, I know about the "Long Now" project. I was interested, but I wanted to bring those Bay Area techno-hippies up to Leadville. "Look here," I would say. "It's already running. Just add the chimes." Because this "machine" has to run forever. In the words of that old treaty with the Iroquois Confederacy in New York, "as long as the waters flow." Enjoy it while it's this way. I have never fished John Martin, but I have tried it for waterfowling with mixed success. When it is high like this, you can find some cover and improvise a blind. But when it is low, the best areas are surrounded by a wide margin of boot-sucking mud. I wonder how far down the original bottom is under the the silt that has washed in. HASTY, Colo. - The wet Colorado spring at John Martin Reservoir has allowed something that hasn’t been seen for quite a while: high water levels. That means it’s a great time to visit the park. 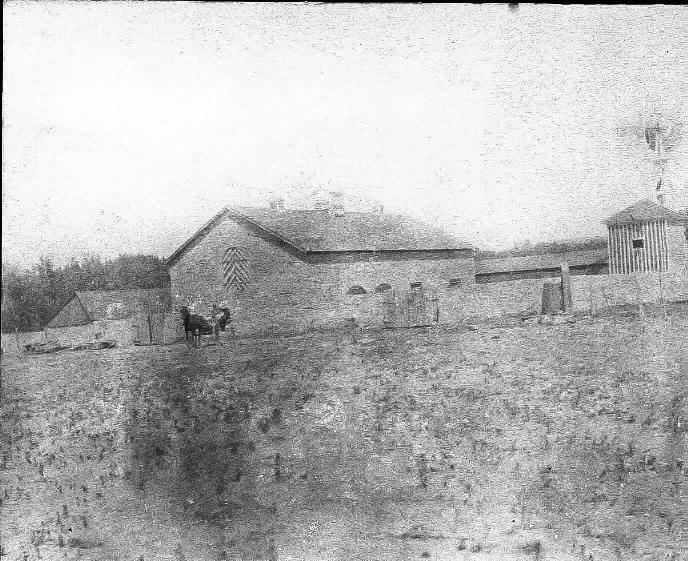 There’s plenty of room for boating in the reservoir that now spans roughly nine miles long and two miles wide. There's also 200-plus campsites and nearly five miles of hiking trails to explore. "The reservoir hasn't looked like this in a long time," said Park Manager Dan Kirmer. "If you haven't been to the reservoir before or haven't been in awhile, you definitely need to come check it out." Boat, picnic and fish at this peaceful oasis known for its wildlife. John Martin Reservoir is also considered a birdwatcher's paradise with almost 400 species documented in Bent County. 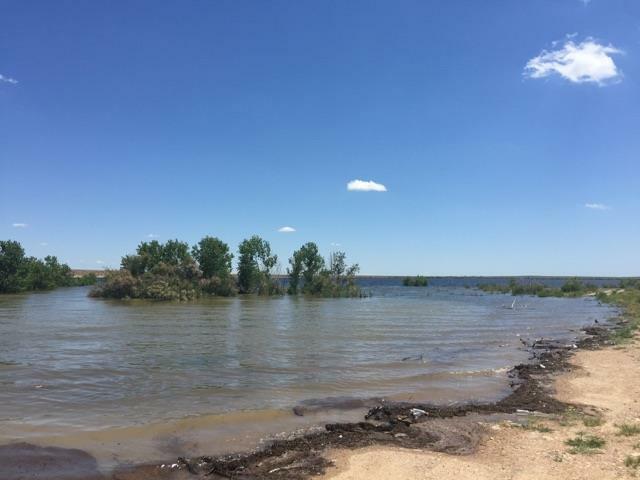 For more information about John Martin Reservoir State Park call 719-829-1801, or click here. Put this snowpack map together with this news release (PDF) from the federal Natural Resources Conservation Service: "Snowpack Percentages Decline throughout Abnormally Dry January," and you will see why we are hoping that the predictions for a wetter spring come true. January is an important month for mountain precipitation over the course of the average year.The month of Apriltypically provides the most mountain precipitation at 3.6 inches, followed by March at 3.4 inches, and January coming in the third highest at 3.2 inches. This January provided only 1.47 inches of mountain precipitation, 45% of the average. 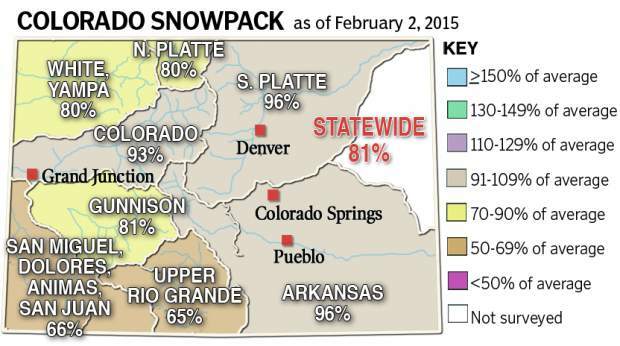 The South Platte saw the greatest precipitation totals compared to normal at 62% of average. I spent the afternoon in Salida at what was essentially a 500-person pep rally for the proposed Brown's Canyon National Monument in Chaffee County. With me was fellow Backcountry Hunters & Anglers member Paul Vertrees. Like a few others, this "monument" would not involve the National Park Service but be managed by the agencies currently involved: the U.S. Forest Service, Bureau of Land Management (BLM), and Colorado Parks and Wildlife (CPW). There are two stories here. One is political theatre and process, and one is about changes in conservation rhetoric. 1. Wilderness protection and national monument designation proposals for this stretch of the Arkansas River, where it runs through mostly public land away from any highways and railroads, have been floating around since the 1980s, at least. Last year, as I blogged, Senator Mark Udall (D-Colo.) introduced a new bill to make this wilderness study area into a national monument that would still allow grazing, hunting, fishing etc. Then came the 2014 elections. Udall, much to his surprise (I am guessing), lost his seat. Given Congress's preoccupations, his bill's chances don't look good, despite support from most of the Colorado delegation. Hence Plan B: Have the president designate the national monument under the Teddy Roosevelt-era Antiquities Act. Such designation would be legal, constitutional, and has been upheld by the courts. To make the case for that, Udall roped in our other senator, Michael Bennett, plus the chief of the U.S. Forest Service and the assistant directors of the BLM and the Colorado Department of Natural Resources. They sat at a long table while listening to hours of testimony from local governments (the towns of Salida and Buena Vista, plus Chaffee and Saguache counties), business owners, conservationists, rafters, hunters, etc., 99.5 percent of whom said executive designation would be a Good Thing. Which brings me to . . . .
2. Last year I briefly mentioned the new "veterans for wilderness" movement, as shown in this Wilderness Society article, "Veterans want to protect the public lands that help them heal." We heard testimony from, for example, the Veterans Expeditions group, which takes vets rafting and camping in the canyon. This year they were jointed by T-shirted members and former members of a group called (if I have it right) Hispanic Access Foundation, which takes kids from metro Denver on outdoor trips, including rafting Brown's Canyon. They spoke of seeing starry skies for the first time in their lives, of being out of the city for the first time in their lives, and some hope was expressed by adults that some of these kids might seek careers in natural-resources management. Who could argue with that? Well, possibly the staffer from Rep. Doug Lamborn (R-Colorado Springs), who claimed that an executive proclamation would be a "top-down" action foisted on an unknowing population. 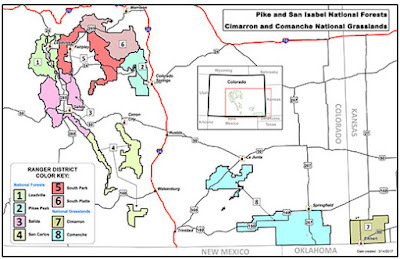 Let's see, I attended my first public hearing on this matter in Buena Vista when Senator Ken Salazar hosted it, and he left office in 2009 . . . and that was just one of several. I hope that what he heard from local government and business types, in particular, might persuade him otherwise, but you never know. Meantime, we await the judgment of our performance from the critics who matter. Nine years after the big fire. Monday we hiked one of our favorite old trails, severely burned over in 2005. That fire was followed by a flash flood the same summer, wiping out parts of the trail, and then came an influx of invasive weeds. The weeds are not so bad now — there is more grass — but you still have to pick your way over trunks of dead trees that have toppled in the intervening years. Recent severe forest fires in Colorado are not a "departure from the norm," say University of Colorado researchers. " 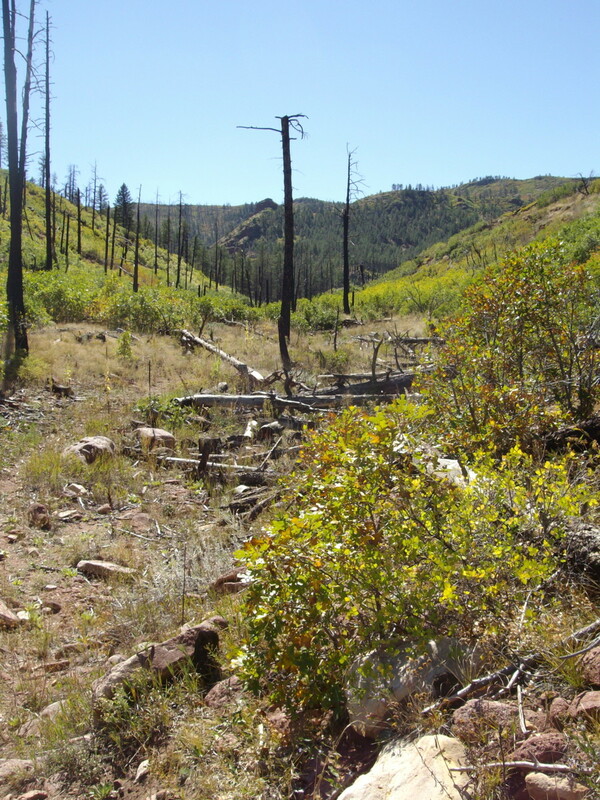 Modern fires in these Front Range forests are not radically different from the fire severity of the region prior to any effects of fire suppression." In other words, we are still feeling the effects of the 1910–present regime of fire suppression. Bicycle commuting supposedly skyrockets — but in Colorado Springs, it's all about fun, not about going to work. "The Springs is probably the best city along the Front Range for mountain biking," said Tim Halfpop, manager of Old Town Bike Shop on South Tejon Street. "But we're the worst for road riding and getting around town." The founder of Wiggy's, the low-profile but respected outdoor gear maker in Grand Junction, is promoting lamilite, a continuous-fiber synthelic insulation. I am just re-reading Ernest Hemingway's novel For Whom the Bell Tolls, set in the mid-1930s during the Spanish Civil War, in which the American protagonist, Robert Jordan, extolls the virtues of his eiderdown-insulated "robe," for which he paid $65 — more than $1,000 today, according to one calculator. Makes Wiggy's bags look like a deal. Rich French diners are still chowing down on endangered birds. It's tradition, you see. "Captured Ortolans are kept and fed heavily for at least three weeks until they resemble a small fat ball. Once they reach a specific weight, the unfortunate birds are drowned in a French liqueur called Armagnac, before being prepared or sold. In France, the price for such a peculiar 'delicacy' easily reaches 150 Euros ($189 US)." Did I mention that ze artiste Christo has admitted that his plan to hang plastic panels over the Arkansas River is "at a standstill"? No doubt some art auction house will sell copies of his legal filings. It's all conceptual, you see. Our watershed has a song! Performance by Devin James Fry for the bees in Austin, Texas. Tip of the big-brimmed hat to Kenny Paul at Pour House Coffee Roasters in Florence. Tracy Harmon at the Pueblo Chieftain has a story with photos today on restoration following last June's Royal Gorge Fire, which was they are now saying was human-caused, as I suspected. (Arson or accident—they are not saying which). One big issue is trying to keep sediment out of Cañon City's municipal water intake, which is just downstream of where the fire jumped the Arkansas River. The scenic bridge and surrounding park are open weekends—get updates at their site. ¶ After the June 2013 fire, the Royal Gorge Bridge & Park is reopening for limited hours. Meanwhile, the scenic train that goes from Cañon City up the gorge and back is upgrading and hoping to get its tourist riders back. [Owner Mark] Greksa believes his yearly passenger counts will increase as he continues to add amenities. Last year, he let passengers pay to ride in the locomotive next to the engineer. He also eliminated the train's "concession car," which offered only vended foods to coach customers, and created a dining car where they can order hot food, and a "bar car" with bistro-styled tables. Food offerings include beef and buffalo items, organic chicken and a crafted pale ale, Royal Gorge Route Rogue, Greksa said. 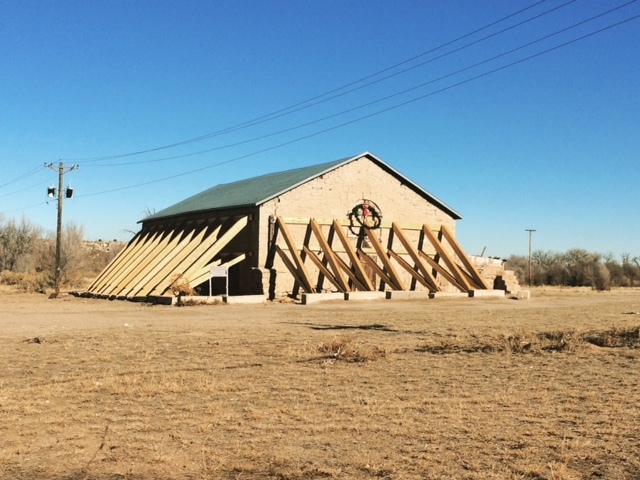 In the summer, the train will offer dishes made from rattlesnake, antelope and ostrich. ¶ Most water from the Fraser River in Middle Park gets sent under the Continental Divide and into Denver's water system. Trout Unlimited, however, has worked out a new deal to protect flows for fisheries by regulating when the water is removed and how much. Me, I see the Fraser only when looking out the window of Amtrak's California Zephyr and thinking, "That looks really fishable in there." Maybe I should do something about that. Senator Udall outlines his bill. Senator Mark Udall (D-Colo.) stood up in front of a group of mostly Chaffee County folks on Tuesday to announce that his bill to create the Browns* Canyon National Monument soon start its perilous journey downstream through the dark canyon that is Congress. As snow swirled outside the venue, the reception area at Noah's Ark Whitewater Rafting, no doubt some of those present were mentally calculating what percentage of a decent snowpack had accrued thus far in the season. This proposal has been a long time coming. I remember seeing Browns Canyon from a raft for the first time in 1986 or '87 — and that trip was a junket organized for some conservation group (Trout Unlimited?) connected either with Browns Canyon or the proposed Arkansas River state park. And I can recommend testifying at a public meeting in Buena Vista six (?) years ago before Ken Salazar when he was in the Senate. And there has been a lot more done along the way. Part of the proposed national monument — to be administered by the Bureau of Land Management and the Forest Service, not the Park Service — has been a BLM wilderness study area (WSA) since the 1980s, at least. Like a lot of the BLM WSA's, it is a not a high-altitude alpine forest-and-snow area, but would protect lower elevation forest (important big game habitat) and riparian areas. It had a road into it to an old mining camp. And lots of people wanted a say for or against the proposal: recreational gold miners, hunters, dirt bikers, four-wheelers, cattlemen, commercial rafters, private rafters, anglers . . . and one group that surprised me, but whose inclusion makes perfect sense. Over the years, compromises were made, and the original proposal shrank down to about 10,000 acres. Udall praised the effort as "emblematic" of how a public lands bill should be crafted, from the bottom up and as a "common sense proposal" that would "protect all existing legal uses." Then came brief statements from supporters. There was the motel owner-real estate agent from Buena Vista, who said that a designated national monument would bring more visitors. I suspect that he is right. The vice president of the commercial rafters association made a similar point, noting that whitewater rafting on the Arkansas is a $54 million industry. Another outfitter, Bill Dvorack (holder of Colorado outfitting license #1) spoke about protecting wildlife habitat. Bill Sustrich of Salida, at 87 years probably the oldest life member of Backcountry Hunters & Anglers, talked about ATVers ruining elk hunting. Interestingly, there was another speaker from a nonprofit group helping veterans reintegrate into society. He identified himself as a former Army sniper in Iraq, and talked about the part that public lands recreation played in his own de-stressing from his war experience. That rang a bell — I remembered outdoor writer and vet Galen Geer writing an article about how hunting did something similar for him after his tours in Vietnam. His article seemed to stand alone at the time (the late 1980s or early 1990s), but now people are organizing such outdoor experiences. * About a century ago, the US Board of Geographic Names or some such agency decided that the possessive apostrophe was too complicated for them. Via Coyote Gulch, I learned about TreeFlow, a project to reconstruct centuries' worth of river flows in the West through correlating them with tree rings. "A tree-ring reconstruction is a best-estimate of past streamflows, based on the relationship between tree-ring data and observed streamflow over the modern period." Here, for example, is the reconstruction of the Colorado River's flow at Lees Ferry, Arizona, going back to 750 CE (scroll down for that graph). 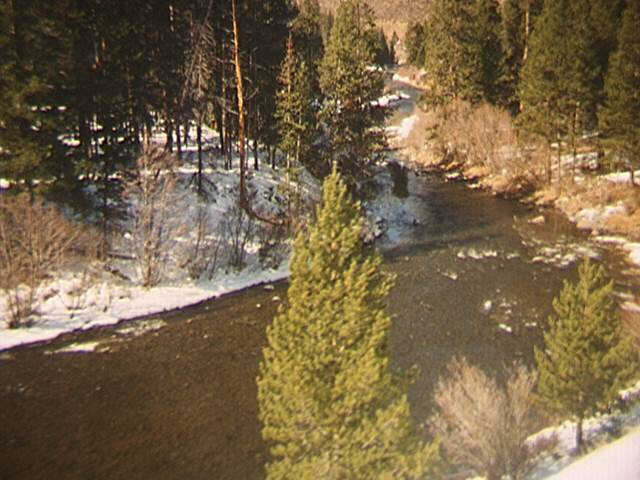 Closer to home, the Arkansas River at Cañon City, Colorado, from 1685–1987. The process correlates tree rings with observed data from the late 19th century to the present, then projects the correlation back over older tree ring samples from cores or archaeological sites. More about the process here. The persistent drought conditions that emerged across the West in 1999, especially the extreme drought year of 2002, indicated that the observed records of streamflow in the region did not capture the full range of natural hydrologic variability. This drought, along with increasing demands on water supplies led to a need to assess the range of drought conditions that were likely to occur. Tree-ring reconstructions of streamflow, extending several hundred years or longer, provide a more complete representation of past variability. Accordingly, streamflow reconstructions attracted more interest within the water management community as a potentially useful tool for planning. 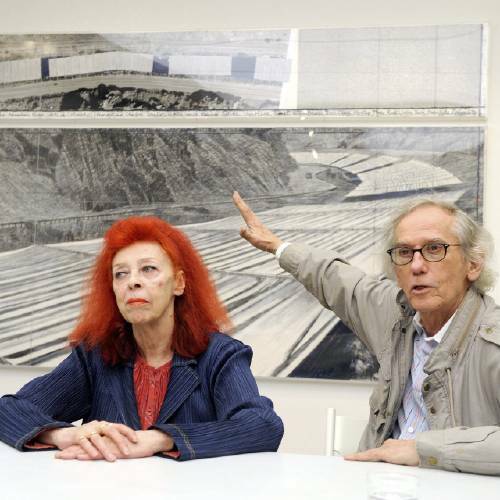 ¶ Legal challenges to zee artiste Christo's "Over the River" continue. ¶ Do vultures take baths? Chris Weems has the video. Also owls. ¶ Colorado's first legal industrial hemp crop is harvested. Probably not a long-term harvesting model, however. Don't the Canadians have a combine head for hemp? Colorado looking much better, except south of the Arkansas River and in the San Luis Valley — New Mexico not so good. Compare past years' maps. The guide scrambles back into his seat after dragging the raft through a riffle. Sport #1 is fishing. Sport #2 (stern) seems drowsy. Maybe he drank his lunch. Photo taken near Howard, Colorado.